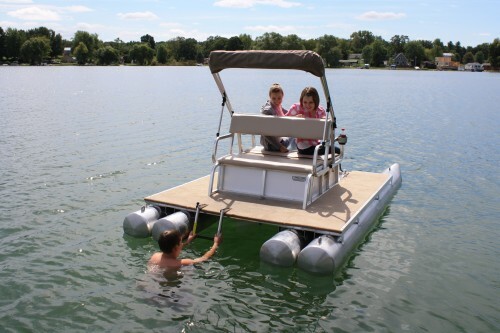 This unit equipped with 2 sets of seat cushions, Bimini (Canopy) Top Package, Telescoping Ladder and 2 cup holders. It has a Burgundy body with Tan seat cushions and Tan Bimini Top. 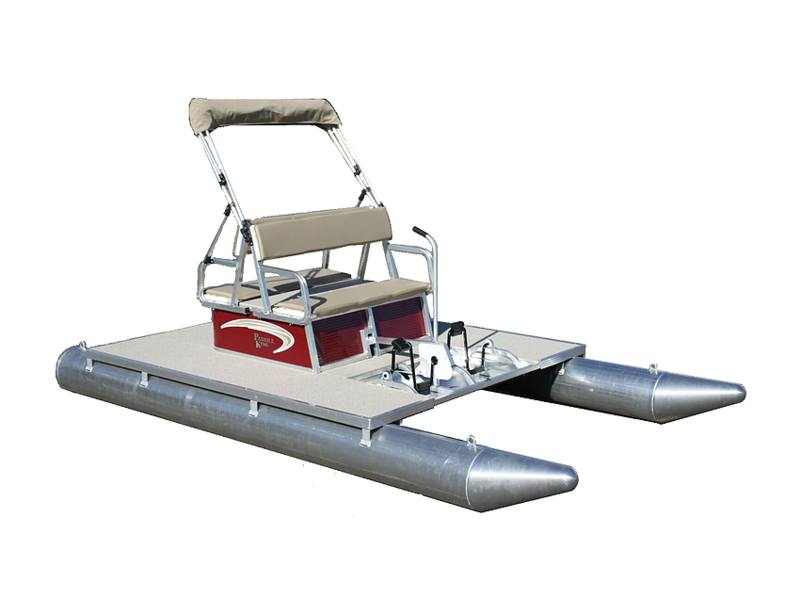 The PK4400 is our largest paddle boat, seating up to 4 persons. It offers back-to-back seating and lots of deck space. 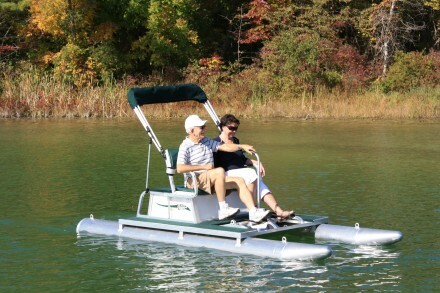 With four low-profile tubes, it is one of the most stable paddle boats on the market. 3 Step Telescoping Ladder Conveniently folds up and stores on top of back deck. Available only on the PK4400. Great for easy boarding after swimming! Also a good safety feature.